Momentum Plus is an optional paid membership that unlocks extra Momentum features, integrations and customization options. If you love using Momentum and want to level up your page, upgrade today! Personalize Momentum by adding the photos, quotes and mantras that inspire you most! Plus members also have the ability to skip or change their daily photo, quote and mantra whenever they want. Clearly see the number of days left until your important dates, meetings or events right on your Momentum page. Autofocus connects your active Todo list to your Focus, so whenever you complete your Focus it is replaced with the next item in your Todo list. World Clocks makes scheduling around time zones a breeze! Simply type in a location, name it whatever you like, and then save it. The clocks you save will cleanly display at the top of your Momentum page. Go beyond Momentum's default Inbox, Today and Done lists by adding your very own! Momentum's Todo integrations let you connect your favorite 3rd-party task managers to the Todo, so you can conveniently add, view and update your 3rd-party tasks within Momentum. Asana, Todoist, Trello, Google Tasks, Wunderlist, BitBucket, GitHub and Basecamp 3. 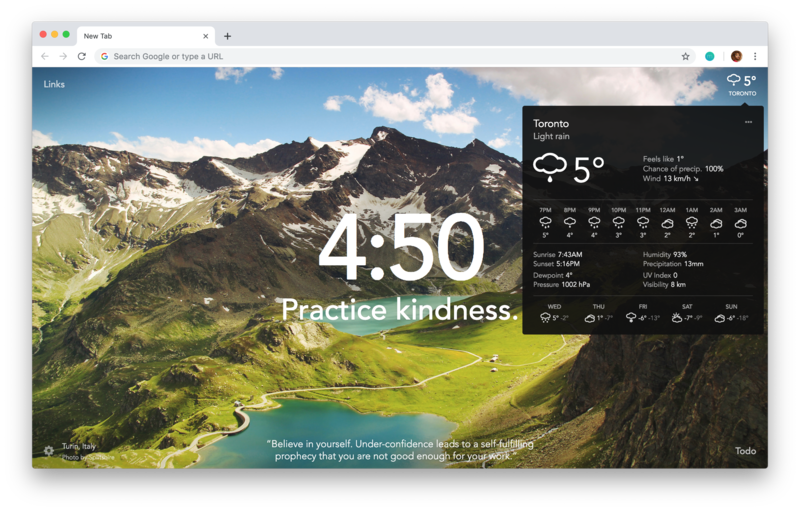 See more detailed weather info on your Momentum page, including the hourly forecast, the chance of rain, wind speed & direction, humidity %, sunrise & sunset time — and more! Keep track of information, schedules, or reminders that don't quite fit in the Todo list format with Momentum's Notes feature. Personalize your Momentum page with five additional font choices and an endless number of theme colors. Keep an eye on important metrics with Momentum's Metric integrations. We currently have Metric integrations available for Fitbit Steps and Todoist Karma - with plans to add more in the future! If you're interested in upgrading to Momentum Plus, you can on the Momentum Plus page or on your account's upgrade page. After upgrading, you'll gain instant access to all of the Plus features listed above, along with any others that we add to the Plus offering in the future. For more information on each of the Plus features, visit the Feature Guides section of Momentum's Help Center. 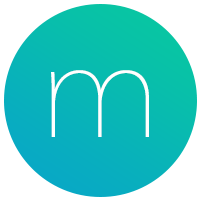 If you have any other questions about Momentum, please send us a message at help@momentumdash.com. You can expect a response within 24 hours (Monday - Friday).